Today my "T" post is TUTORIAL. 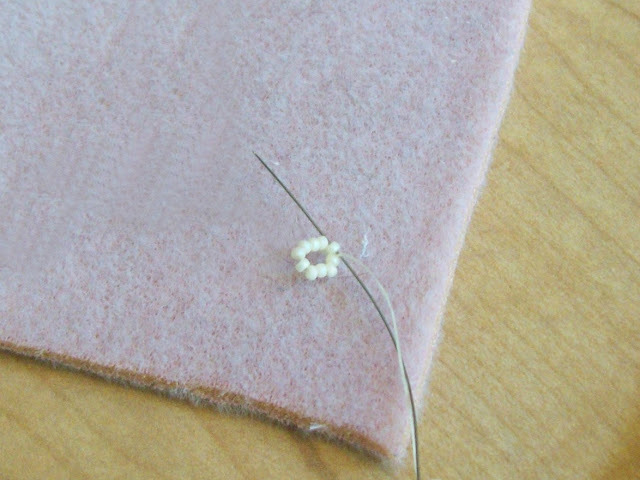 Where would be we [beaders] be without them?! 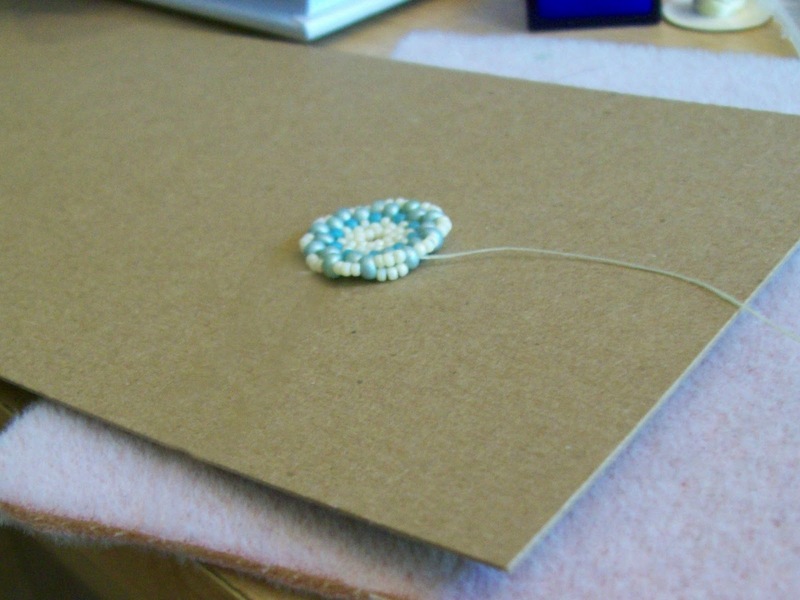 So in honor of my two hundredth post and the letter "T", I am sharing my first tutorial. I have been working on this tutorial for a little while, and I want to acknowledge to all those tutorial writers out there, that I did not realize how difficult the process is! And this one isn't very fancy! Just some pics (and some bad ones at that) and some instructions, very much in my own words. I started this same one several months ago and gave up because I didn't feel like I was doing a very good job. I guess all I'm trying to say, is that tutorials are a lot of work! 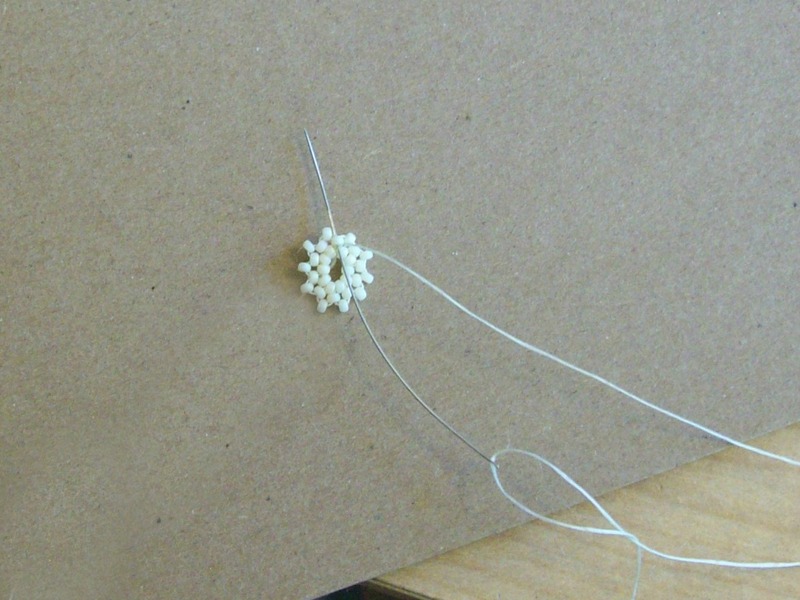 First thread your needle with about a yard of thread. 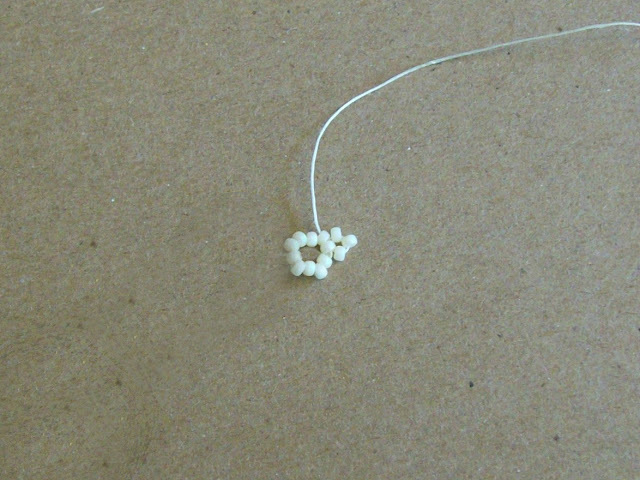 String on 10 15/0 beads. Tie them into a circle and make a knot. Leave a tail that will be comfortable for you to use when you need to weave it back into the work.) 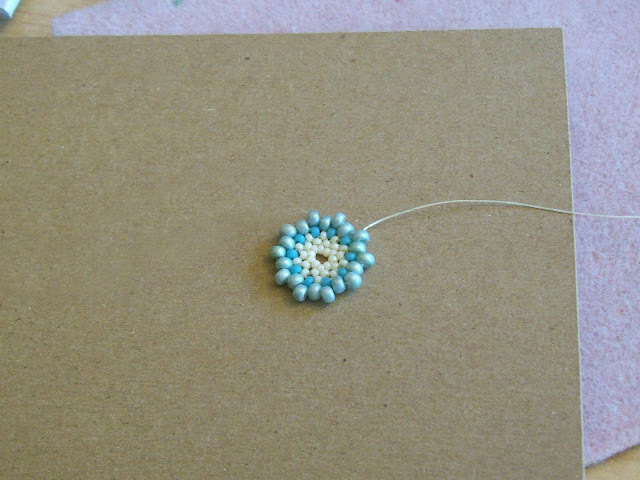 Pass your needle through the first bead strung. 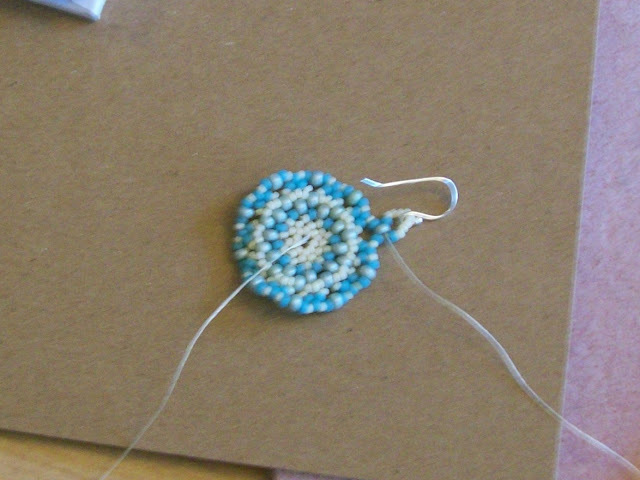 Pick up 3 15/0 beads and pass through the first bead (again) and the second bead strung (First right angle weave unit). Repeat all around the circle. 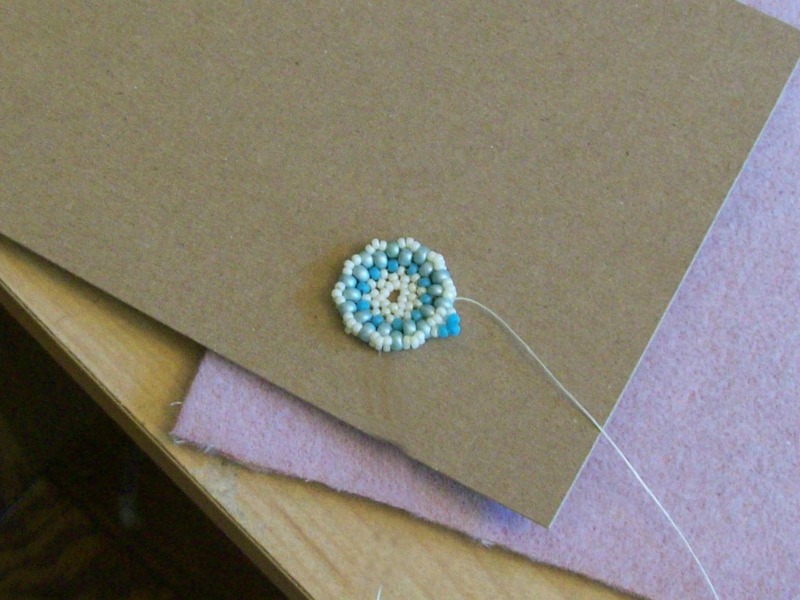 ....And the last bead of the first RAW unit. This will complete the second round which is simply a circular RAW round. 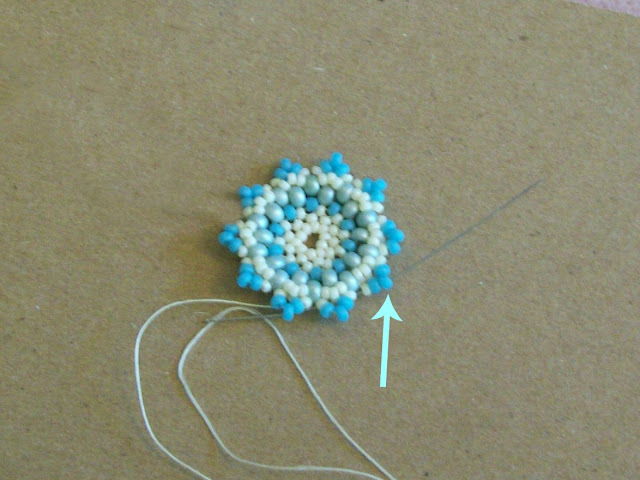 Now pass through one of the upper most beads in the RAW unit, pick up one 11/0 bead, and pass through the upper most bead in the next RAW unit. 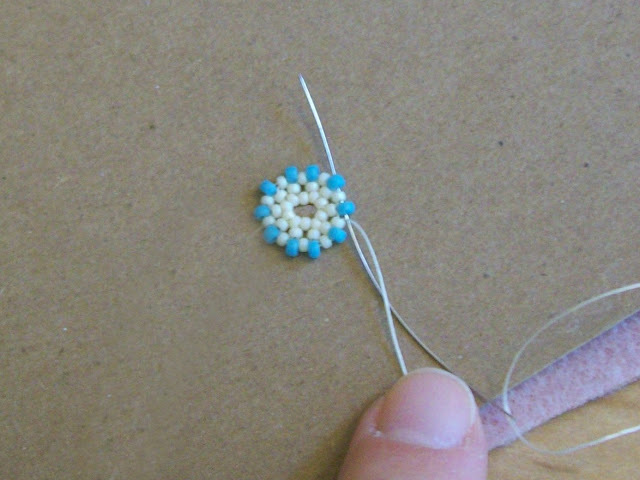 Continue peyote stitching 11/0 beads all the way around. Step up through the first 11/0 stitched at the beginning of this round. Next, peyote stitch 8/0's all the way around. 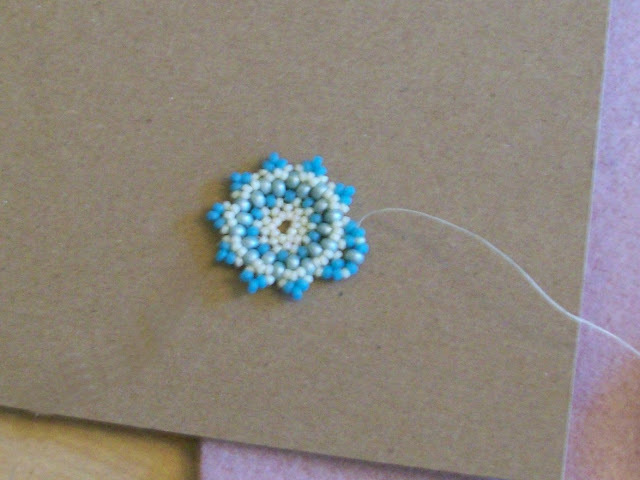 Step up and do another round of 8/0 peyote stitched round. Now pick up 3 15/0 beads and pass through the 8/0 next to it and repeat all the way around. Do not step up, but instead repeat this round so you have two rows of three 15/0's between each 8/0. Again, do not step up. This time, string 1 15/0, 3 11/0's, 1 15/0 and pass through the next 8/0. When you get to the final 8/0, pass through the first three beads strung on this round (1 15/0 and 2 11/0's), so your needle exits the middle 11/0. String 1 15/0, 1 11/0, 1 8/0, 1 11/0, 1 15/0 and pass through the next middle 11/0 bead (as shown below). I typically go through this round twice to reinforce. When you are done, stop when you pass through the next 8/0 bead. 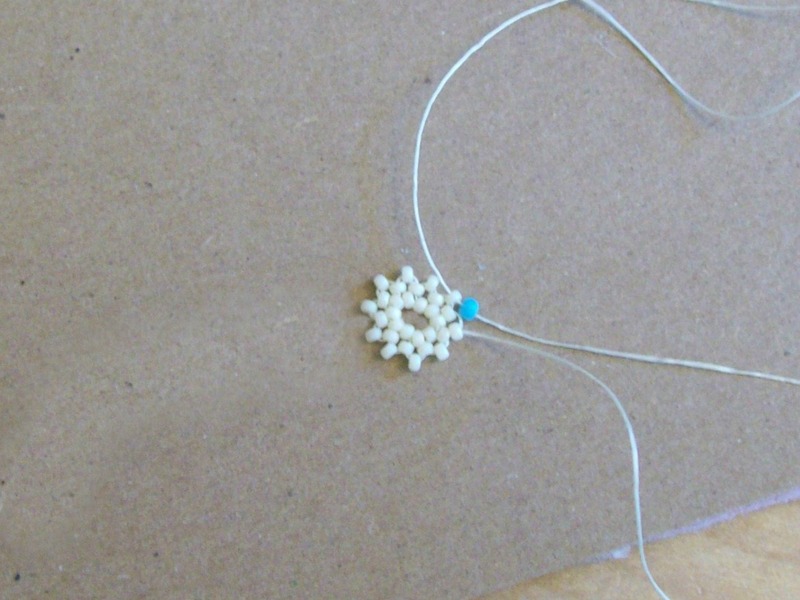 String 1 11/0, 4 15/0, your ear wire, 4 15/0, 1 11/0 and pass bac through the 8/0 bead. Repeat several times. Weave your thread through the work, knotting occasionally and snip the thread. You will also have the tail from the first round to weave back into your work, and snip. Repeat all the steps for a second earring and voila! Your earrings are ready! There are only a few days left of the Blogging from A-Z Challenge, and if I do say so myself, some tough letters are remaining - U, V, W, X, Y, Z! I have to admit, on my handy-dandy sheet of paper that I plotted out all my topics, there are still question marks next to U, X, and Y!!!!! Wish me luck in drumming up some topics with those letters!!! I better get going, too since U is tomorrow! Also - I haven't forgotten about the kit for the folks who participated in the Spring Fling Challenge. I will announce the winner of the drawing tomorrow! Writing tutorials for any type of craft isn't easy! I've written directions for wearable art jackets and knitted jewelry and it was the hardest part of the design process. 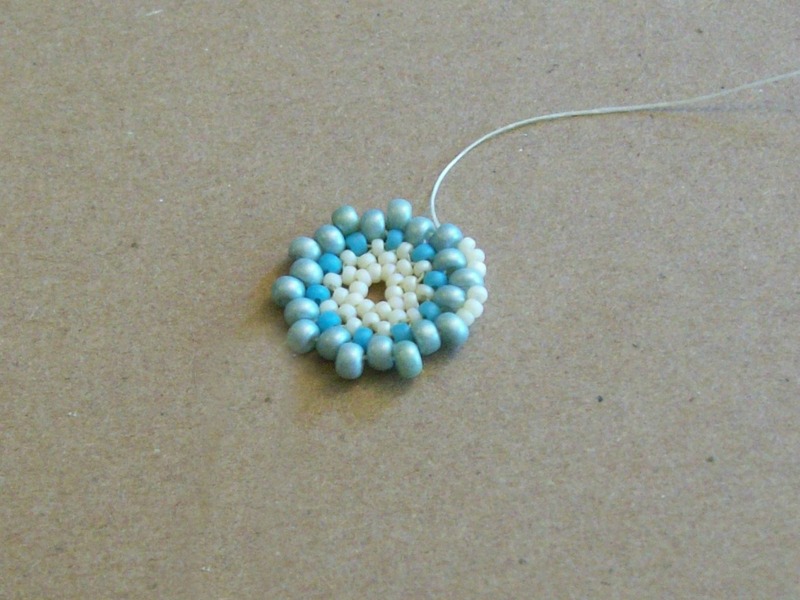 That's why I've stayed away from bead tutorials. So, you're brave to take it on, Amy! 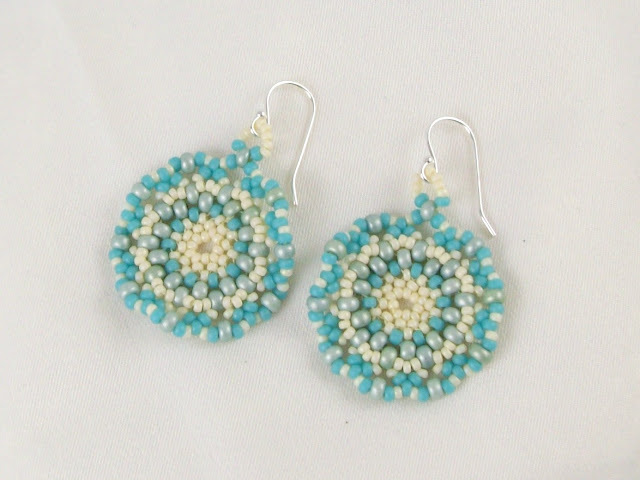 And, thanks, the earrings are great and I think you did a fantastic job with the directions!! They're very clear and easy to follow. And, I think that's the most important thing for a set of directions! Bravo!! 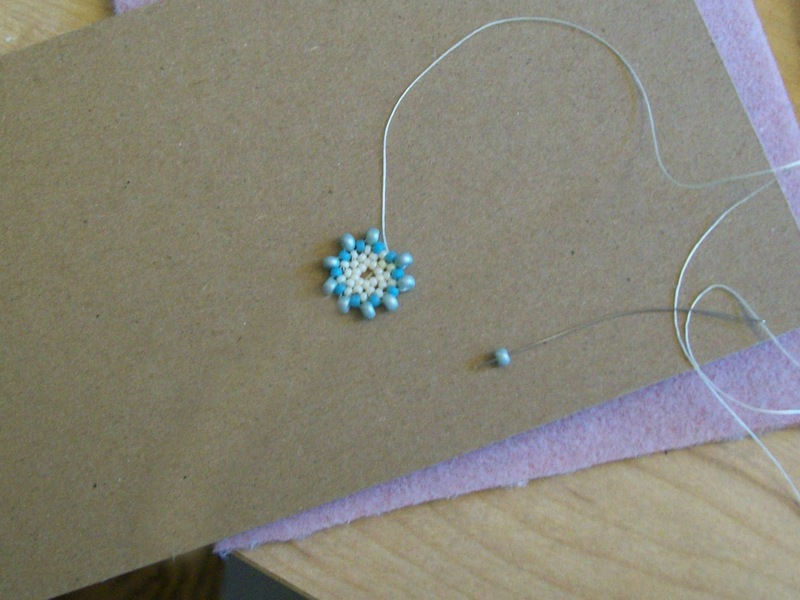 This is the very clear tuto for very fine earrings-simple,decorative and easy to make. 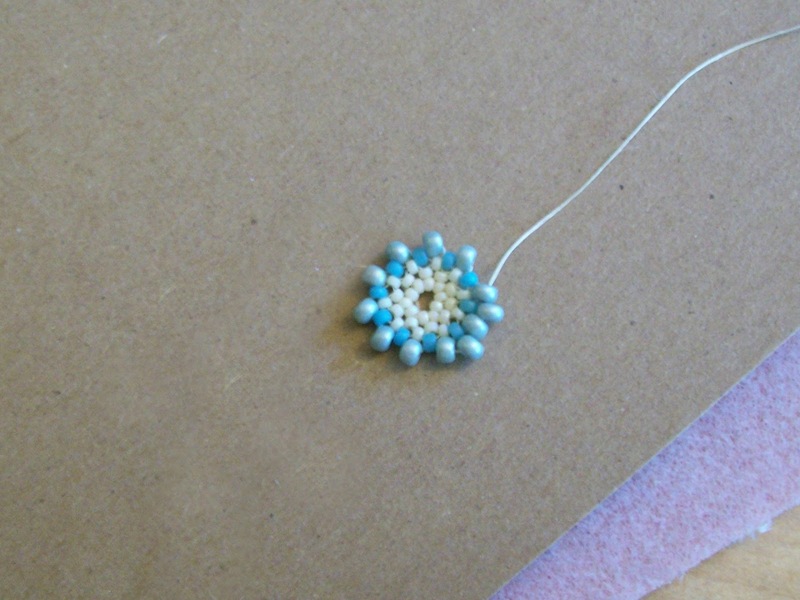 I have just thought up fine earrings-I think also easy enough to see,how to make them and try.I'll also publish a tuto someday. This is a very easy to follow tutorial. I even think that someone that is just beginning in bead weaving, maybe with a little help at getting the RAW started, would do well making the earrings. I have never tried writing a tutorial and I'm not sure if I ever will, but then again never say never, right! Thank you for sharing and I will make this pair of earrings and call them my Amy earrings. Hi Amy, Wow I wish I had the courage and the skill to write up a tutorial!! This is such a nice looking tutorial. Your written instructions are clear and concise and the pics are great. Cute earrings, I have bookmarked this post to make myself a pair really soon. Thanks for sharing. Thanks for the instructions! I want to try to make them! Have you ever made Huichol earrings? Love those too. 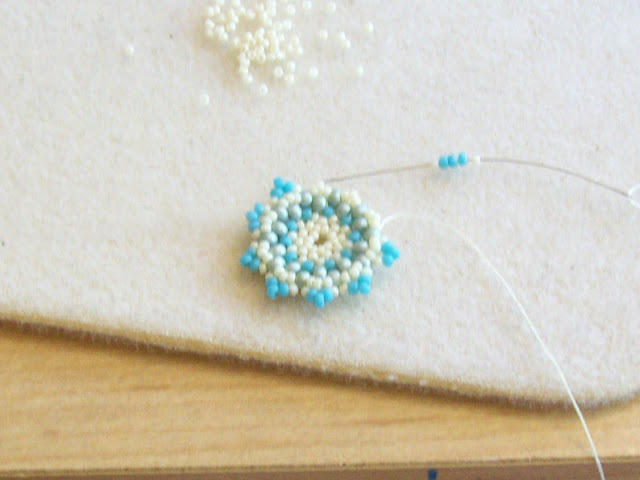 I had no idea beading was so complicated! wow! ps - forgot to mention, I like the earrings. 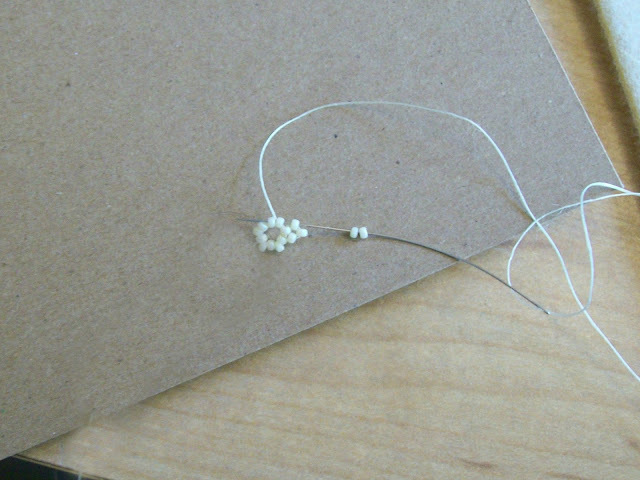 Ohhh I love these earrings and cannot wait to make them. Thanks so much for sharing the tutorial... great use of 'T'!! This is a terrific tutorial. Very well done and super-easy to understand. Thank you so much! Thanks Amy! I know exactly what you mean, I have a huge respect for tutorial writers now. I love these earrings! 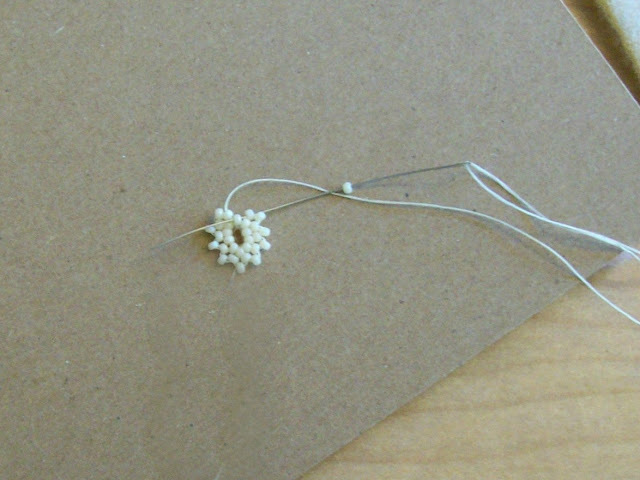 I have such a hard time trying to create earrings, so thank you!!!! Infinitas gracias por abrirnos los ojos.